Christine is a licensed acupuncturist devoted to helping her patients achieve health and wellness with Traditional Chinese Medicine (TCM). She follows a holistic model of evaluation and diagnosis that involves a thorough health questioning and acupoint palpation with tongue and pulse diagnosis to formulate a treatment plan appropriate and unique to each patient. 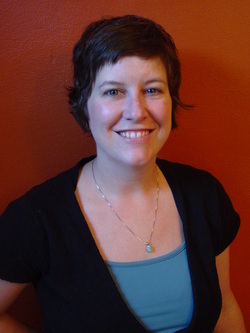 Christine graduated from Southwest Acupuncture College in 2002 and completed her post-graduate work at the International Institute of Traditional Chinese Medicine in Beijing, China. She also has advanced herbal training with an emphasis on women’s health. After four years of practice in Brentwood, MO., Christine has moved to Maplewood, MO and is in practice with her husband Greg since 2007. While Christine treats many internal medical disorders along with musculoskeletal pain, headaches, sports injuries and anxiety/depression, a significant portion of her practice is devoted to women’s health and fertility-related conditions. She has a strong referral base of reproductive endocrinologists and OB/GYNS and is authorized to treat her patients in many of the local medical offices and hospitals. Christine uses acupuncture and Chinese Herbal Medicine to treat patients trying to regulate their cycles, trying to conceive, and throughout pregnancy, labor and postpartum. Christine also successfully treats many male factor fertility conditions with acupuncture and herbal supplementation. While not working, Christine likes to spend time with her husband and daughters, Maris and Eden. She LOVES to read, and enjoys running, snowboarding, hiking and spending time outdoors. Dr. Greg Kleinschmidt is a hands-on practitioner and has a focus on empowering patients through the use of self care techniques to overcome pain, remain pain-free and improve their quality of life. Utilizing massage, exercise, chiropractic techniques and acupuncture, he enables the healing process for a wide variety of musculoskeletal conditions caused by injury, pregnancy, or structural imbalances caused by sports participation or work-related stressors. Greg spends quality time with each patient to help determine and achieve their short-term and long-term health goals. With an undergraduate degree in Human Biology, he obtained his Doctorate of Chiropractic in 2007 from Logan College of Chiropractic in Chesterfield, Missouri. Greg completed a post-doctorate program in acupuncture and is a licensed practitioner in the state of Missouri. He is passionate about, and continues to learn the practice of TCM with the mentorship of Christine. Continuing education plays an important role in Greg’s learning, as he feels it is necessary for personal growth and the continued improvement of patient care. In his free time, Dr. Kleinschmidt likes to spend time with Christine and his daughters. He enjoys golf, skiing and snowboarding, as well as most outdoor activities.